Visually striking and incredibly comfortable, leather loveseats add a sophistication and ambiance all their own. A great addition to family rooms, living rooms, or entertainment spaces, the pieces in the Bassett collection of leather loveseats and sofas are both stylish and comfortable. Loveseats give two a place to nestle together. Our design team works with artisan craftsmen to create exciting new looks in traditional and contemporary furniture. Browse our latest collections and you’ll very likely find the leather loveseats and furniture pieces to match your sensibilities. Would you like to create a unique, one-of-a-kind loveseat for your living room? 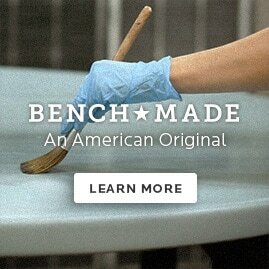 Bassett offers a complete custom program for the creative side in all of us. Through this customer-driven program, you can put your designer’s hat on and create a piece with a look that is uniquely yours. Choose from a myriad of fabric and finish options. Build your custom leather loveseat from concept to final stitch. Visit a Bassett showroom near you and see for yourself. Experience the rich wood finishes, gently polished leathers and attention to detail that goes into every Bassett furniture creation. Learn how you can custom design a leather loveseat from concept to final stitch. And when you’re ready to start designing, make an appointment to see a Bassett design consultant.